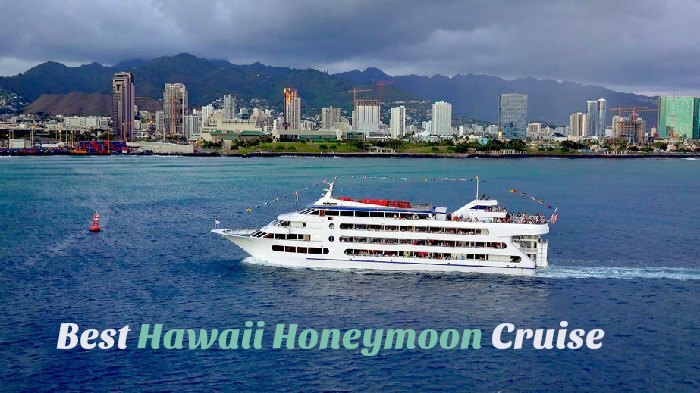 If you are looking for the best Hawaii honeymoon cruise, there are some incredible (and surprisingly affordable) options. Hawaii is one of the most romantic honeymoon destinations within the United States, and cruising is one of the most affordable and relaxing ways to reach the islands. Whether you want to visit the Big Island or one of the smaller and more secluded islands, some of the world’s leading cruise lines can get you there in style. We rounded up a short list of our favorites to help you pick the best Hawaiian cruise for the most memorable vacation of your lifetime. The Norwegian cruise line is our top pick because they offer last-minute deals and other discounts that can make your honeymoon more affordable, and they’re always adding new destinations to their trip lineup. They even have a new ship coming in 2018 that will bring new luxuries to many honeymoon vacations. You can use their website to easily select a cruise that fits your needs by simply answering a few questions that tell them what you enjoy. You can visit all four Hawaiian islands in one week, and Norwegian will charge you less than $1,500 per person on average. This is the most popular option because it’s a round-trip vacation that begins and ends in Hawaii. You get to spend the night in Maui and Kauai while enjoying excursions to see Oahu and the Big Island. You’ll see Rainbow Falls, Volcanoes National Park, Historic Kona, and the Road to Hana. This is only a short list of what you’ll see on this rewarding journey. You can expect to pay at least $1,500 per person for a Hawaiian Princess cruise that hits all of the islands. If you choose to book a suite or one of the deck cabins, you can pay substantially more, but these ships offer all the luxury you could ask for and the trip puts you in some of the most scenic and romantic Hawaiian hot spots. A 15-day Hawaiian cruise departing from San Francisco will stop off in Hilo, Honolulu, Kauai, Maui, and Ensenada, Mexico. You can also select a longer trip that ventures beyond Hawaii to include other exotic locations, including Tahiti and Samoa. These trips are more involved than some of the Norwegian Hawaiian cruises, but they’re also more expensive. Carnival offers round-trip Hawaiian cruises from the port in Los Angeles, California. The average price starts around $1,000 if you book one of the more affordable staterooms, but the price can go much higher depending on the off-board excursions offered and your choice of accommodations. The average prices are often limited to the interior staterooms, so you will pay more for the suites or a cabin located right on the deck. Carnival offers some of the largest cruise ships with a variety of on-board attractions, so there is no such thing as boredom on one of these trips. Since Hawaii is one of the most in-demand honeymoon destinations, you have a lot of options for booking your cruise. Make sure that you consider comfort and amenities on the ship as well as the off-board excursions and departing location when selecting the trip that best suits you and your new life partner.